The OLPC initiative a valid proposition: provide ultra low-cost (and low maintenance) laptops for children (in impoverished countries). At a time, when microcomputers were quite expensive and cost upwards of $500 (for an entry-level device) and this high cost of ownership were seen as a major contributor to the digital divide. The OLPC, if you will, contributed to a revolution which lead to OEMs creating a new genre of computers – the netbook (low-priced, feature deprived computers – but with a lot more features to make the OLPC computers cringe with envy, but not enough to make a mainstream laptop cry and lacking the educational programmes specially targeting kids and unique to OLPC. The OLPC’s history has been riddled with challenges, including but not limited to, departure of key staff and resources, not being able to eventually sell the computers for the then attractive price of USD100 each – despite having scale in the form of large orders by many Governments (scale was going to be a major factor in driving down the cost of producing the computers). Its been many years since we first heard and were wowed by the idea of the OLPC and in my opinion, the OLPC has done its work – many of the world’s children (and adults too) now have access to low-cost but powerful computers. Or, perhaps, have had its work done for it. (Moore’s law also played and will continue to play a key role in achieving this). Today computers costs as little as $20 (the Raspeberry Pi), and the scale that is required to build sub – USD200 computers today are not the same as was required a few years ago when the OLPC was first conceived – thanks to Android, the crashing cost of and increasing power of computer processors and resilient and un-resting entrepreneurs (Moore’s law again). The times have changed. And so is the novelty of the OLPC’s original idea. 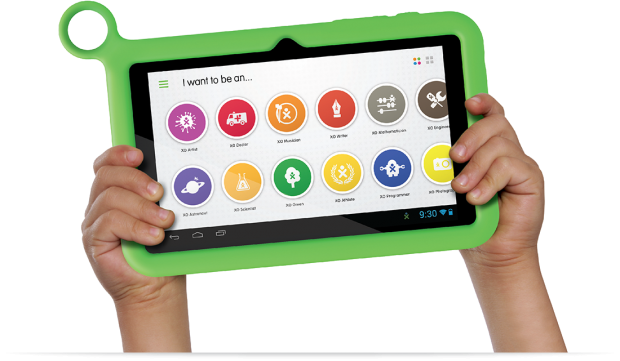 I read a few mornings ago that the OLPC is going ahead to launch its $150 tablet PC. Besides arriving too late in the tablet game, some of its ‘would have been’ partners (mainly governments) have taken the leap and built theirs – India. And there already exist several $100 tablets. Making matters worse for the OLPC is, anybody with the patience of surfing Alibaba.com or Made – In – China.com can manufacture their own sub $200 tablets. However, what most cannot, and where the OLPC stands a big chance to continue to do, is driving adoption – the game for the OLPC should therefore shift from manufacturing hardware to advocacy and lobbying. And perhaps content creation. Heads up, Samsung – the world’s largest manufacture of mobile phones and tablet PCs (I know this is subtly disputable) has now launched a Kiddies tablet – I am more comfortable to trust Samsung with my USD150 for its hardware, if the OLPC will be curating content for its software.